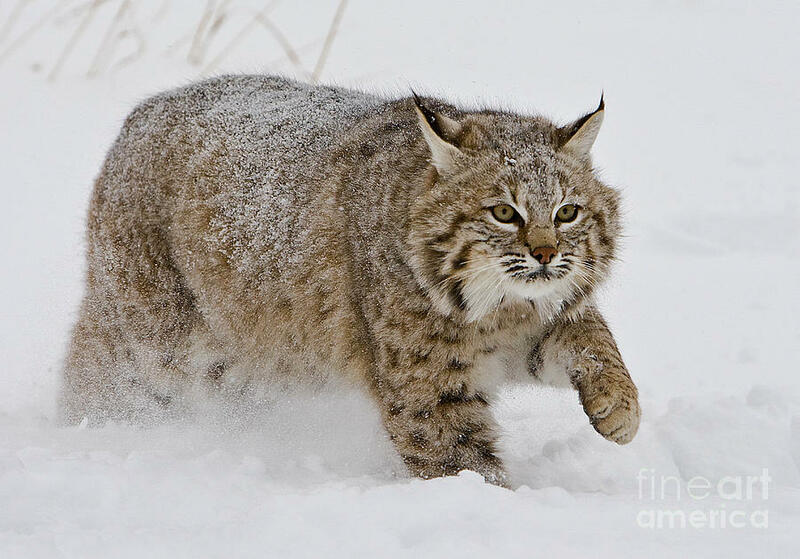 Bobcat ; These beautiful cats are members of the lynx family and are recognizable for their short bobtails, often just two inches (5 cm) long, which have black fur on top and a white underside. There are plenty of bobcats throughout the United States, southern Canada, and Mexico, so they are not endangered, but it is still unusual to see them. This is partly because people are just not used to spotting them. Bobcats, like many other members of the cat family, like to use human paths and trails to avoid long grasses and irritants, such as ticks. Several times a bobcat will hear someone coming along a path and flatten down at the side of the path while the person walks past, often just ten feet (3 m) away, unaware.